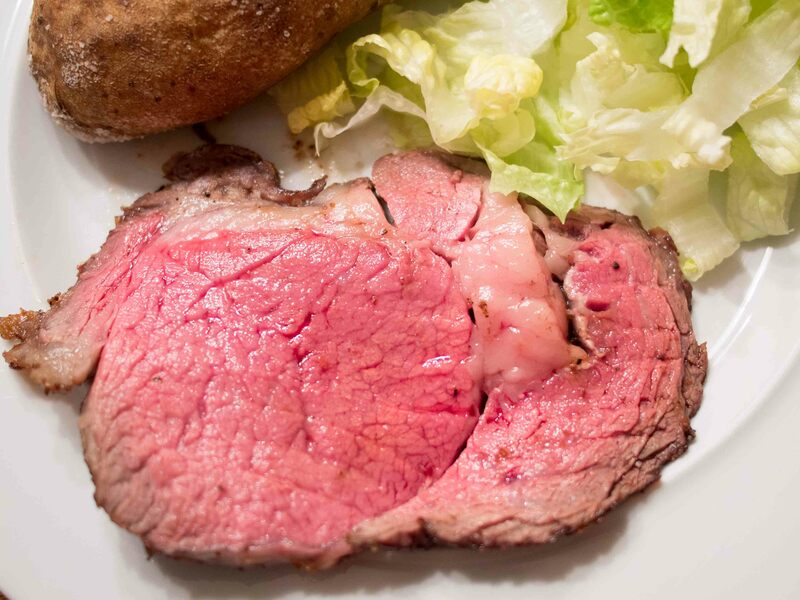 Prime Rib is on the menu for Yew Year’s Eve at our house and that gives me all the excuse I need to do some “test” cooks before the big day. 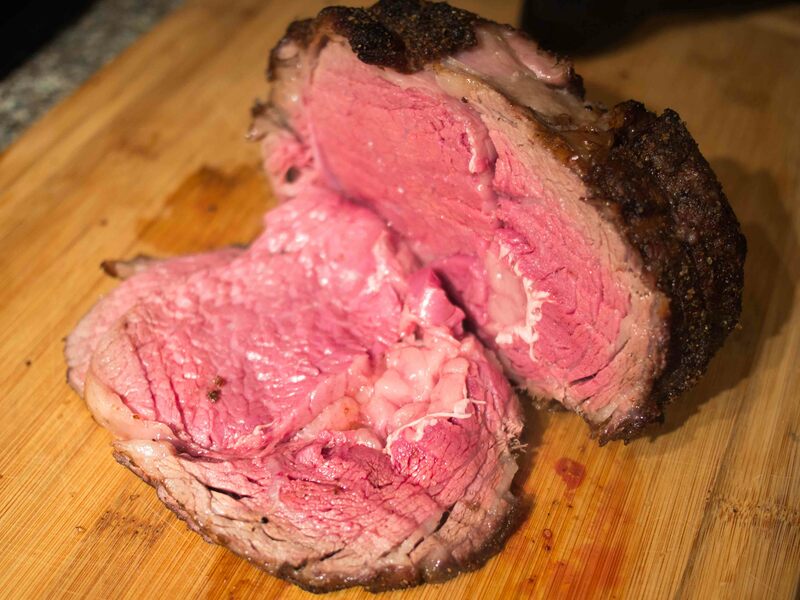 For me, a great rib roast is all about getting a heavily seasoned and crispy crust with as much juicy and tender medium-rare inside as possible. I’ve had really good results using a couple of different cooking techniques. 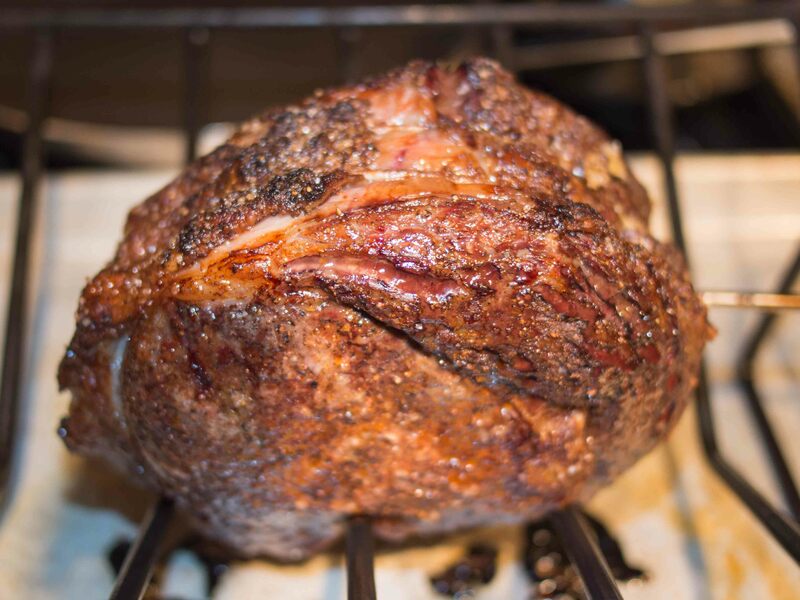 The simplest is just roasting the meat at a steady 350°F (Deck Warming – Prime Rib & Yorkshire Pudding). The other was to sear the roast over a hot, direct fire, give it a rest, and then finish it over lower indirect heat (Ruhlman’s Twenty – Grill-Roasted Prime Rib). Due to some inclement weather, I did this test inside in the oven, but it will work even better on the grill. Set up for an indirect cook at 250°F. Slather the roast with your seasoning of choice mixed 50/50 with olive oil. Set a roasting rack on a rimmed sheet pan (something shallow, like a jellyroll pan). Set the roast in the rack and load everything into the oven/grill. 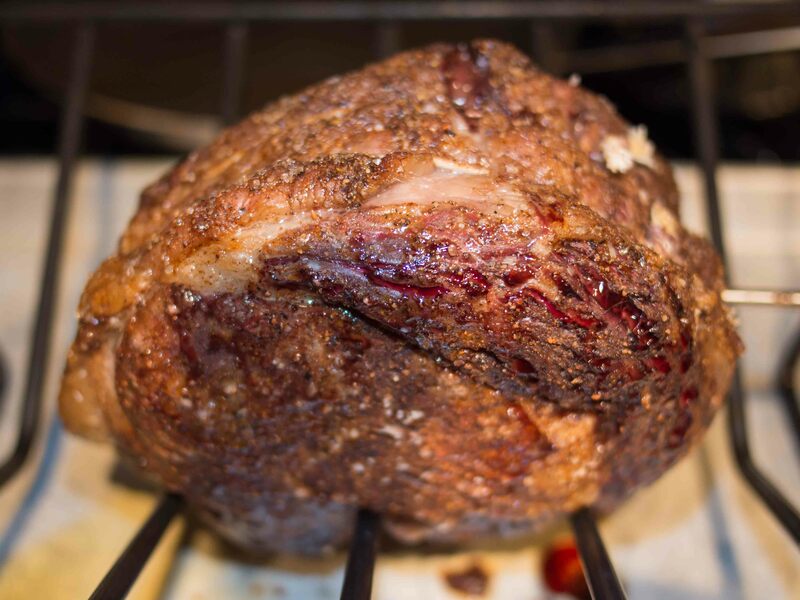 Roast until the internal temperature of the meat hits 115°F (using a remote thermometer helps immensely here). Remove the roast and let rest for 30 minutes while you get the oven up to 500°F or set the grill up for a high temperature direct cook. After roasting until 115°F internal. Return the roast to the oven and cook for 10 minutes (or sear for about 2-3 minutes per side on the grill) until you get a nice crispy brown crust. After roasting for 10 minutes at 500°F. Remove roast from oven/grill and let rest 20 minutes before slicing and serving. Rested and ready to serve. The roast ended up tasting great (love the Mrs. O’Leary’s Cow Crust) and being very juicy and tender, but the crust wasn’t very brown and crispy and there was too much of a gray ring of overcooked meat. This recipe may work better on the grill, but while I like the idea of being able to have the roast essentially done in advance of dinner, and then just crisping it up at the end, I hate giving up that expanse of medium-rareness. 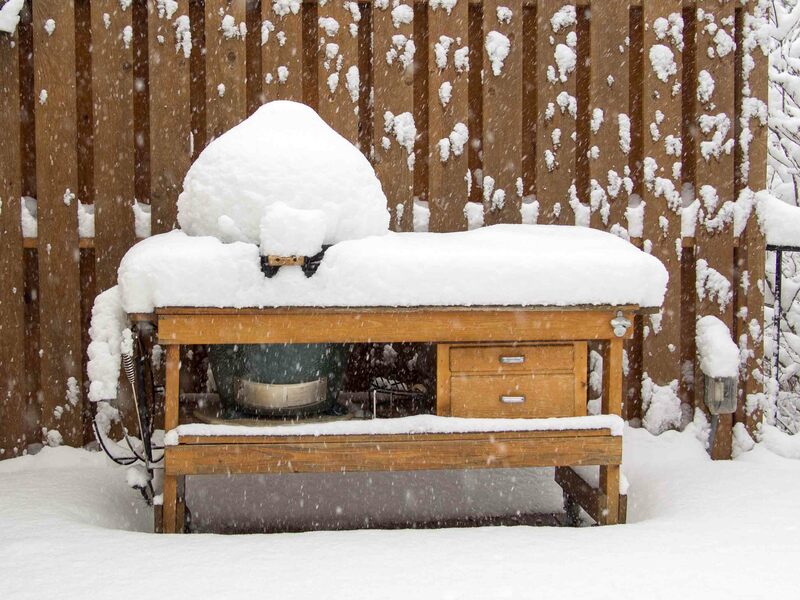 Plan on lots of snow shoveling to burn this off. Reverse sear is my favorite way to go with a rib roast. I like to take mine to a higher temp in the slow roast (pull around 127-8) and then sear at 500+ for just a minute per side. I still think yours looks fantastic, Dave! Enter your address to get new posts by email.